The Denver Tennis Club Professional Teaching Staff offers private lessons, group lessons, USTA league practices, and many customized drill classes. The staff is very experienced in tennis instruction and playing profession and have been part of the Denver community for most of their careers. Our professionals are USPTA/USPTR certified and participate in further educational opportunities throughout the year. We look forward to having you visit the DTC. Please feel free to call us to set up a lesson with the information provided at (303)322-4524. 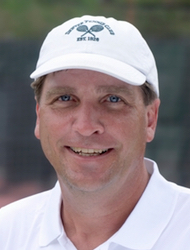 Dan Gray has been the Director of Tennis since 1997 when he moved to the DTC from the Head Tennis Professional position at the Denver Country Club. He has worked at top tennis resorts including Topnotch at Stowe in Vermont, Palmas Del Mar in Puerto Rico, Boca Raton Resort and Club in Florida, and Jiminy Peak Mountain Resort in Massachusetts. Dan has won Denver City Open and Denver State Open Doubles Titles in the 35, 40, and 45 age divisions. He has served on the boards of the USPTA Intermountain and the Colorado Tennis Association and has been a Certified Professional I member of the United States Professional Tennis Association since 1987. Meg fell in love with Colorado when she attended Regis College and always desired to return. She is originally from Chicago, Illinois. She joined the DTC staff in 2011 working at the front desk, and in January of 2012, she was hired on as the tennis concierge to offer guidance to enhance the members' experience. In 2013 she was named Membership Coordinator and Front Desk Coordinator. Meg is an active tennis player and competes in tournaments and leagues in the 4.5 level. She will look forward to helping you become an active member of the Denver Tennis Club. Born and raised in Northwest Denver, Damon first learned to play tennis at the age of 6. After playing on the ATP World Tour, Damon taught at the prestigious Advantage Tennis Academy in Irvine California. He comes to us from Gates Tennis Center and the Jewish Community Center where he was involved in both adult and junior instruction. Damon is an active player in the Men's Open level in Colorado. His philosophy is "that the battle is won before it is ever fought" and he looks forward to working with members to prepare them for their best tennis. Damon and his family (Christine and Rylan) are very excited to be a part of the Denver Tennis Club. Eric Holmes has been at the Denver Tennis Club since 2002. He started his teaching career in Chicago in 1983. Eric has been a certified teaching professional with the United States Professional Tennis Association since 1990. Eric is also a certified Personal Trainer and Racket stringing expert. Eric has been the Tournament Director for the Denver City open since 2013. He enjoys working with people that want to learn modern stroke production. 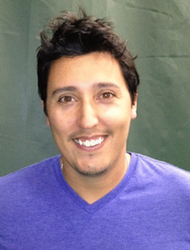 Mark Luna learned to play tennis at an early age, and became a member of the Denver Tennis Club at the age of 17. He is a native Coloradan and has been an active part of the teaching and playing tennis community for his whole life. Mark has been teaching tennis at the Denver Tennis Club since 2006 and spent two of those summers teaching at the International Tennis Hall of Fame in Rhode Island. He is a USPTR and USPTA certified professional. Mark enjoys competing in tournament and leagues, and volunteers his time in the community working with veterans and high school programs. Bill Gauditz has been involved with the junior tennis programs for over 7 years at the Denver Tennis Club. Known as one of the juniors favorite instructors, Bill has been involved with both the Junior Tennis Academy and Junior Team Tennis. Bill is a USPTA certified instructor and specializes in 10 and under tennis. Bill was a longtime DTC member and competed and captained on the 5.0 level for several years, including a trip to the national team finals in 1998. Michael moved to Denver from Grand Rapids, Michigan where he grew up playing at the USTA Sectional and National level. In High School Michael was a State Champion and then continued on to Kalamazoo College. He was selected as an All-American multiple times and won a National Championship in 2005. His favorite player is Pete Sampras as he models his game as an all-court player specializing in tactics and doubles. Michael has been at the DTC since 2017 and has been a major addition to the junior program. Ann is a USPTA Certified Professional and is still an active player in national senior tournaments when possible. In 2015, she played in the USA Maureen Connelly Cup Team Competition and the World Championships in France, and made it to the quarterfinals in mixed doubles. Ann was the Colorado High School State Champion in 1976 and 1977 and then graduated from Pepperdine University with a Biology degree. She also has an Associate Degree in Advertising Design from the Colorado Institute of Art and an Elementary Teaching Credential from the University of Hawaii. Ann has professionally worked at John Newcombes Tennis Ranch and was the Head Tennis Professional at the Pearl Harbor Racquet Club in Honolulu, Hawaii.